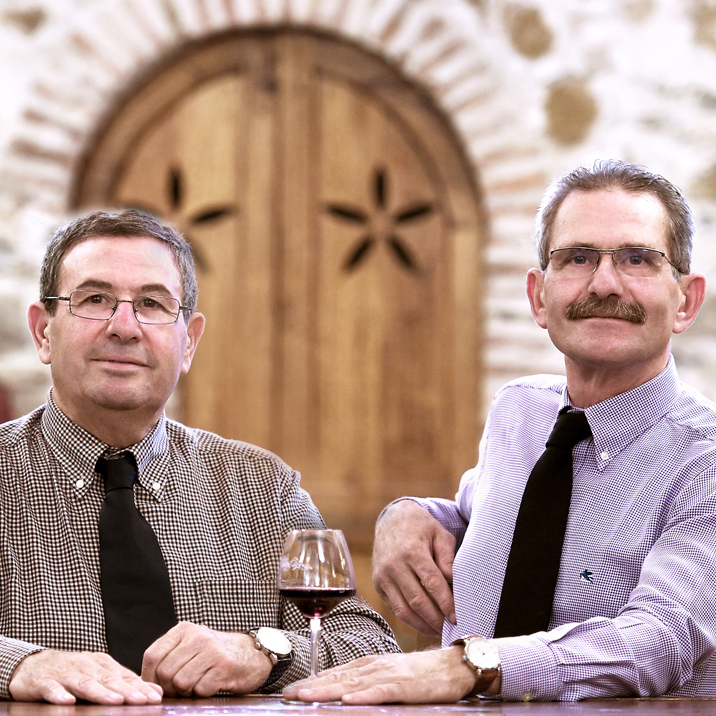 For more than 200 years the Falorni family has been producing high quality cold cuts in the heart of the Chianti region, passing down from father to son the secrets of ancient recipes and artisanal processing skills. An indissoluble bond with our region and roots, made of genuine things and a healthy lifestyle, has allowed us to obtain numerous awards and export our values and our products beyond our national boundaries. To us high quality is a daily commitment, a responsibility that we assume towards our customers. 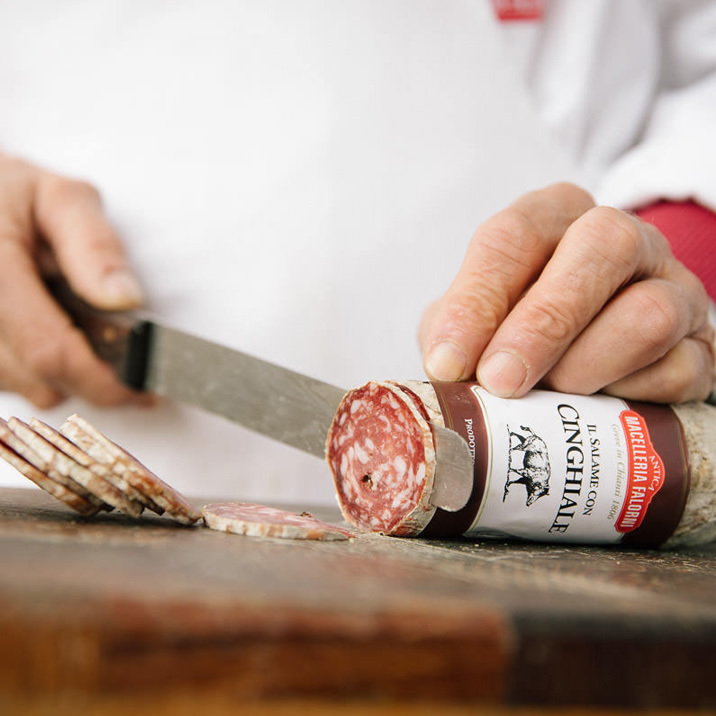 We use traditional processing practices and ancient recipes which, together with research and modern manufacturing techniques, enable us to produce cold cuts that are increasingly tasty, safe and genuine. We personally control every stage of the manufacturing process with the utmost care, and only at the end do we give the product our approval. This is why we have received so many awards and recognitions. 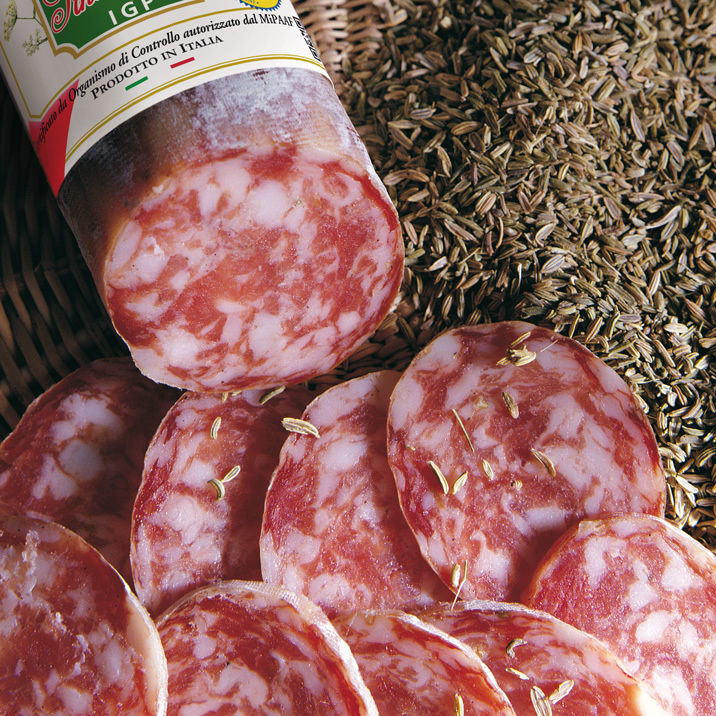 This is how we are able to produce, every day, simply delicious cold cuts. Every day, with passion and care, we strive to obtain increasingly high standards of quality, and through the use of a sophisticated computer system we are able to guarantee the traceability of all our raw materials and every stage of the manufacturing process. Long, slow curing procedures allow our cold cuts to age naturally, without the use of techniques and enzymes that speed up the process. In addition, we only use antibacterial agents that are essential for safe preservation, and always below the legal limits. We willingly undergo the strictest quality and health checks of HACCP, in collaboration with ASL veterinary surgeons and accredited analysis and research institutes. We were recently granted the international certifications IFS and BRC, worldwide standards of processing safety and quality.